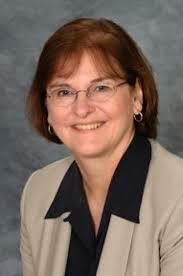 Ann Monday started her career in education in 1973 as an English teacher at Kilmer Intermediate School in Vienna. Since then she's been an English department chairperson at Chantilly High School, an administrative aid at Marshall High School, a Lake Braddock subschool principal, an assistant principal at Fairfax High School, an associate, and eventually principal of Robinson High School, a FCPS Cluster VI superintendent, and a FCPS superintendent of instruction. She retired from Fairfax County Public Schools in 2007.